The Artesia community offer residents a maintenance free, townhome lifestyle, right in the heart of Sunrise, Florida. 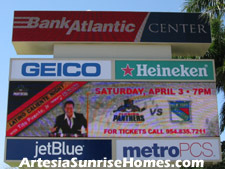 Sunrise, is a very desirable and progressive city and is located in the heart of the Tri-County area in Broward County. Artesia's location is central to all that South Florida is popular for; such as the beautiful beaches, the great boating and fishing options and ample number of easily accessible golf courses nearby and the fantastic year-round moderate weather. 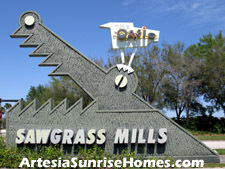 From the Artesia neighborhood, you can easily get to Sawgrass Mills Mall and the Sawgrass Expressway in very short order. Sunrise offers a full range of public works services including parks, sports and leisure programs for children and adults of all ages. The Sunrise Civic Center Complex, offers a state-of-the-art indoor theater, an amphitheater, aquatic complex, art gallery, senior center, banquet hall, and fitness center. Within a very short drive from the community, you can enjoy fabulous shopping at the Broward Fashion Mall, Broward Mall, and numerous shopping plazas, as well as a large assortment of dining options to suit just about any taste or budget. Come see for yourself how the Artesia community seemlessly blends the urban, the suburban, and a luxurious resort lifestyle all into one incredible package. Contact us today to schedule an appointment to visit the residences for sale here at Artesia, you will be glad you did.